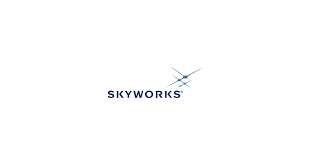 Skyworks Solutions Inc (NASDAQ: SWKS) stock lost over 8.2% on November 9th, 2018 (as of 9:54 AM GMT-5; Source: Google finance) after the company predicted a weaker fiscal first quarter, raising concerns of slowing demand for premium smartphones. Skyworks gets most of its revenue from selling radio frequency and other chips, which are used in smartphones made by Apple Inc and Samsung Electronics Co Ltd among others. Net income rose to $285.5 million in the fourth quarter ended Sept. 28 from $281.3 million a year earlier. SWKS in the fourth quarter of FY 18 has reported the adjusted earnings per share of $1.94, while adjusted revenue growth was 2.4 percent to $1.01 billion in the fourth quarter of FY 18. Global smartphone shipments declined 3 percent annually, recording 386.8 million units in the third quarter, according to the latest research from Counterpoint’s Market Monitor service. Moreover, the company has expanded gross margin by 30 basis points sequentially to 51.2%. For FY 18, generated revenues of $3.9 billion, up 6% with earnings per share of $7.22, up 12% on a year-over-year basis. And perhaps most importantly, the company has returned over $1 billion to shareholders through share buybacks and dividends, representing a 55% growth in cash returns, as compared to the prior fiscal year. SWKS has declared a cash dividend of $0.38 per share of the Company’s common stock, payable on December 18, 2018, to stockholders of record at the close of business on November 27, 2018.